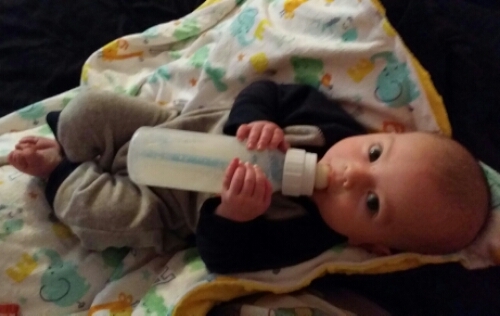 At not quite 4 months old he is holding his bottle all by himself. This taller Dr Brown bottle is more difficult for him than the Munchkin Latch bottles, but he’s definitely making an effort. My little big guy is so strong-willed and already expresses likes and dislikes. Every day there is something new I learn through him and I’m truly in awe.